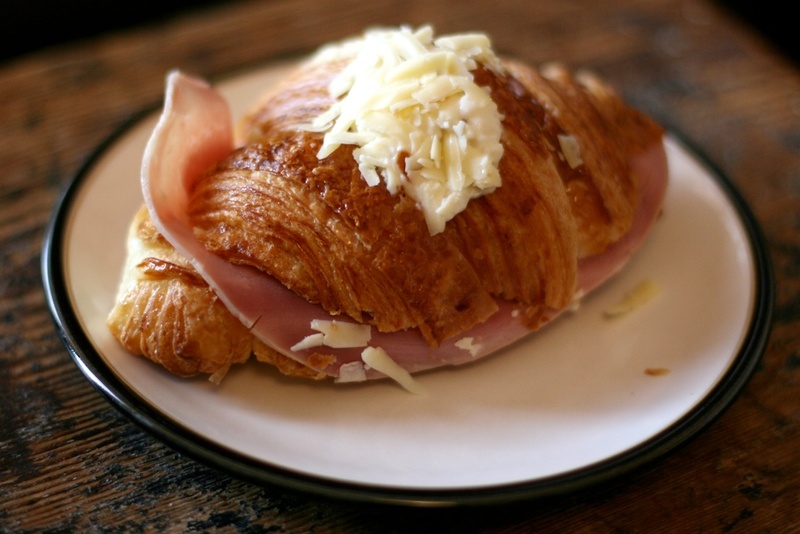 Thankfully, Rachel Lampen has stepped up to the plate, and diffused this potential relationship time-bomb by starting the ingenious and most-welcome Bonjour Breakfast: the first and only service in Brighton (and Hove) to bring the finest breakfast produce directly to your door. All you have to do is stumble out of bed (negative) or better still send the lump beside you on your behalf (positive), and return to bed to indulge. 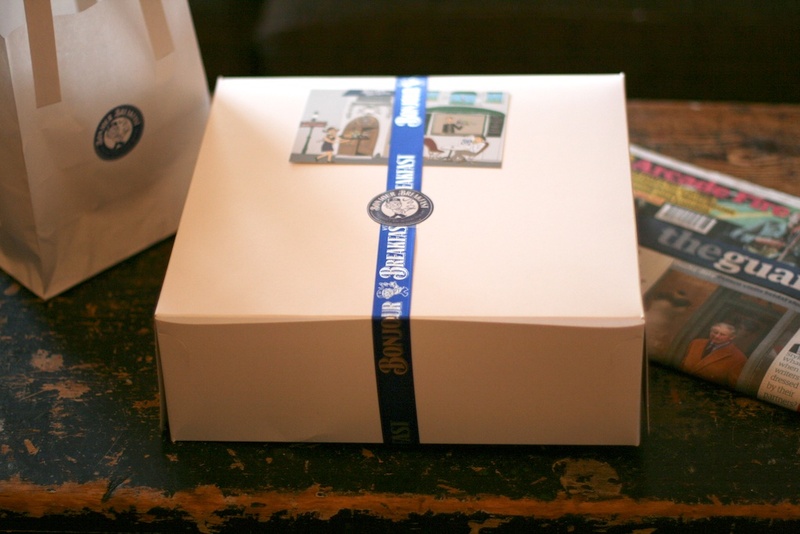 Your breakfast will come served in a pretty (and eco-friendly) box tied with a ribbon, so it makes the perfect treat on a special day, and can also be ordered with your choice of paper, so you needn’t leave the house (or your bed) for many hours to come. Heaven. The quality of the produce is also top-notch. All the pastries are supplied by Cocoa, one of (if not) Brighton’s best patisseries, where all the produce is made from scratch each morning. The chef-patron, Julien Plumart, was trained by Raymond Blanc and the cafe itself aims to provide “a slice of Paris in the heart of Brighton”. 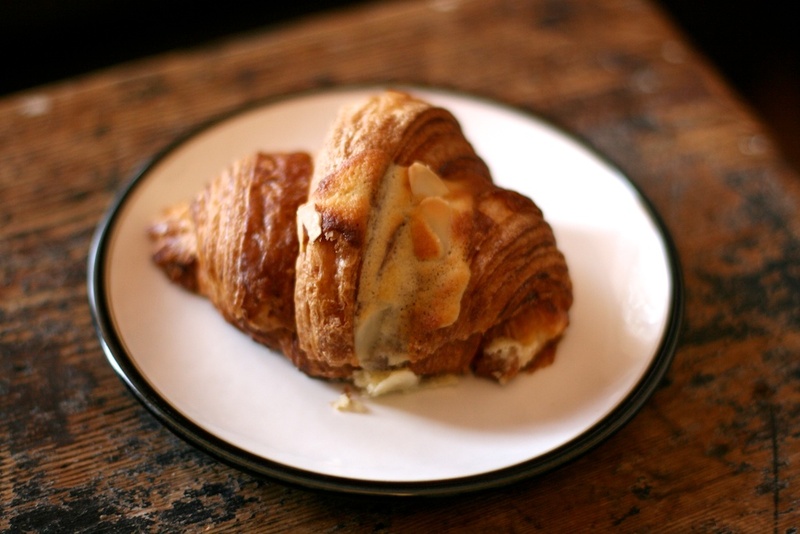 Now Cocoa is literally at the bottom of my road, so their spectacular produce is fairly accessible to me, but the opportunity to have their buttery goodness delivered to my very door is still too good to miss. 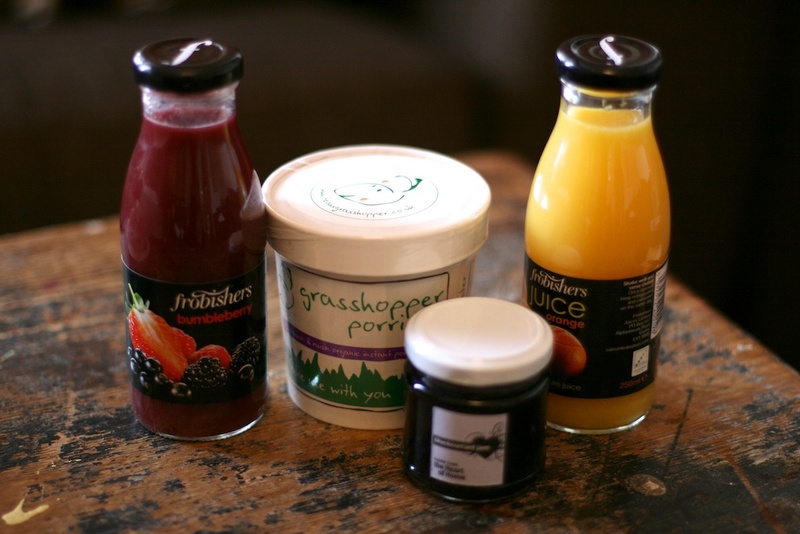 The other products are equally high-quality, with jams and preserves supplied by Heart of Home, chocolates provided by Chocoholly (a Brighton-based artist so inspired by the film Chocolat that she started her own organic chocolate line), and – for an extra-special breakfast treat – flowers can be ordered from Planted. You can either choose a pre-selected box, or pick your own options. We opted for a box with a selection of sweet and savoury pastries (an almond croissant and a cheese and ham croissant, and some brioche), a blackcurrant and almond tart (though ours seemed to be missing the almonds, sad face), some cinnamon and raisin grasshopper porridge, some delicious Frobishers juices and a pot of blackcurrant jam. 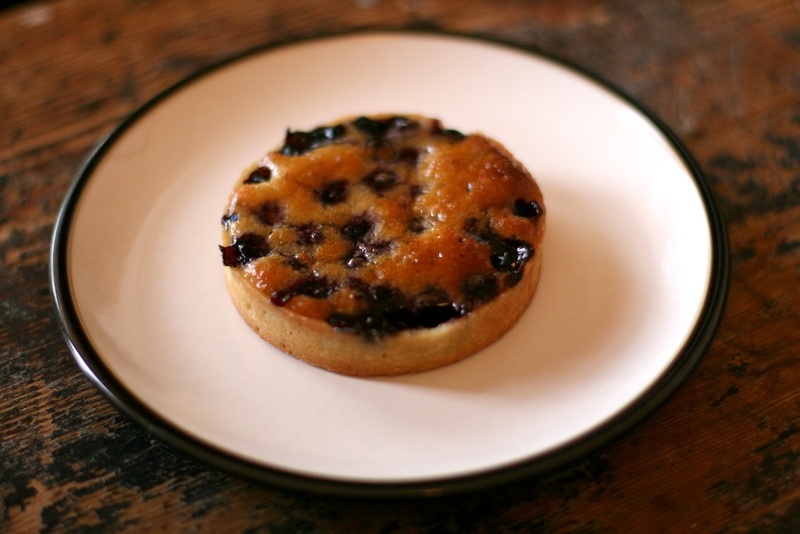 The pastries were excellent as I expected, and the jam went beautifully with them. I was pleasantly surprised by the grasshopper porridge as I’m not a great porridge lover anyway and didn’t expect an “instant” version to be very good at all. But it was pretty good and it was nice to have something warming to go along everything else. In terms of value for money, the prices of Bonjour Breakfast are pretty fair. The pastries are only a little more than you would expect to pay in Cocoa itself, prices varying from around £1.50 through to £2.50. 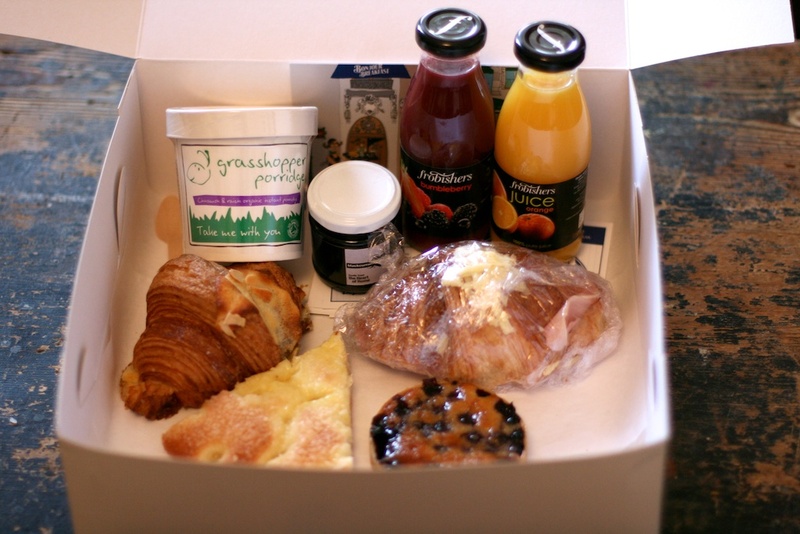 A classic box for two people is £12, and for this you get 2 pastries, 2 juices, a pot of jam and a paper of your choice, delivered direct to your door. Delivery is free for orders over £10 in the BN1, BN2 and BN3 postcodes. Orders outside these postcodes face a small fee. Overall I think Bonjour Breakfast is a great service, particularly if you’re a fan of the continental breakfast. There aren’t really any hot options, which is a shame (but surely down to the obvious logistical problems that this would throw up). Also, I would love to see fresh coffees on offer. You can, as it stands, order freshly ground coffee powder (and a cafetière if you need one) or tea bags (teapigs naturally), but for me this defeats the idea of a no-fuss breakfast delivery. Perhaps a stop on the way at Starbucks? I’d totes pay extra!! I was invited to review Bonjour Breakfast. Aw – seems we agree pretty wholeheartedly!! 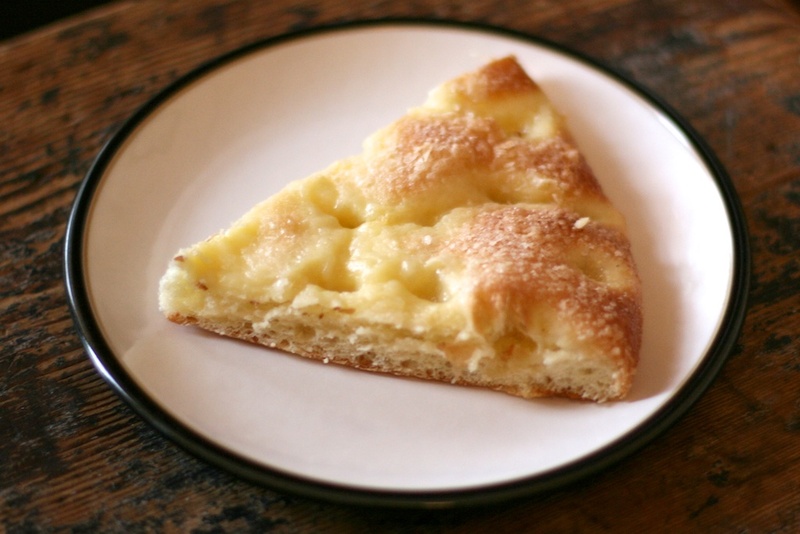 Rather regretting not getting that delice – it looks phenomenal! I’ll have to make a trip down the road to Cocoa. I totes agree more hot food would be magnificent, but understandly difficult to achieve. Great idea. I’ll have to treat my Brighton-based sister with one of these on her birthday. Shame they don’t do coffee, though. The brekkie looks good and sounds like great idea though! My husband’s always threatening to hoover *me*. I’ve often wondered why someone hasn’t started a breakfast delivery for all those hungover / lazy people in bed. And now they have!